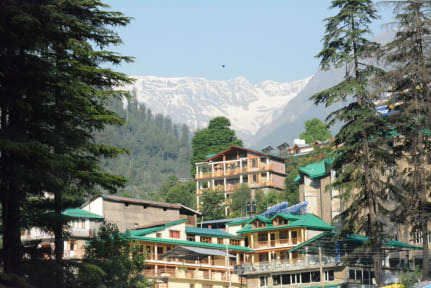 Located a 12-minute walk from Hidimba Devi Temple, Himalaya Cottage in Manali has a garden. Around 200 meteres from Manu Temple, the property is also close to Circuit House. The property is situated 2 km from Tibetan Monastery. All units in the guest house are fitted with a flat-screen TV. All rooms are equipped with a private bathroom with a shower, while some rooms are fitted with mountain views. The rooms at Himalaya Cottage come with a seating area. Solang Valley is 7 km from the accommodation. 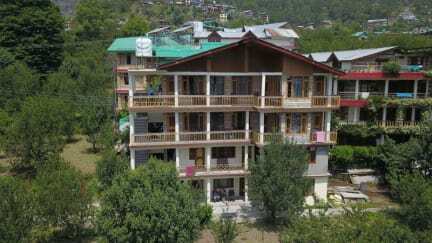 The nearest airport is Kullu–Manali Airport, 42 km from the property. 2. Check in from 10:00 to 23:00. 5. Reception working hours 08:00-23:00.